Now, with just a glance, you can easily see who’s nearby. Tap on a friend to see where they are, like their check-in or send them a message. You may also notice some of your friends are shown in a neighborhood instead of at a specific location. That’s called neighborhood sharing; it makes it easy to see where friends are at-a-glance, even if they don’t check in. 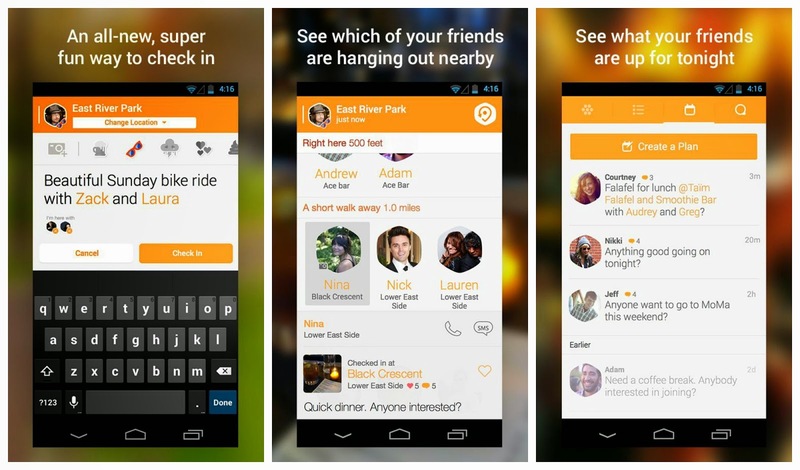 Swarm by Foursquare' installation can be downloaded at Google Play. To know how to win the GC, kindly check out the poster shown. 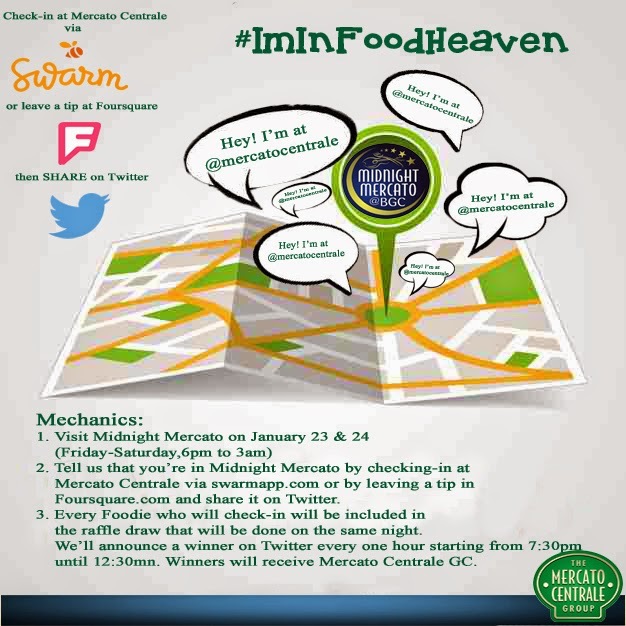 You can also visit Mercato Centrale's Facebook page.